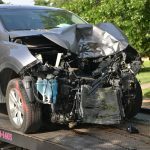 Most of us have been guilty of speeding a little at some point through our driving lifetime, and judging by the $150 million in revenue raised by speeding fines across NSW in the last financial year, drivers fork out a lot of money as a result. Speeding fines aren’t cheap, and also come with a loss of demerit points which may lead to licence suspensions. In cases where you exceed the speed limit by more that 30km/h, you are liable to a 3 month suspension from driving. If it’s over 45km/h, which is a ‘major traffic offence’, the suspension goes up to 6 months and if you are taken to court you could end up with a criminal record. 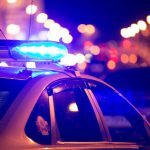 Some drivers may feel that police should be out there solving “real crimes” instead of hassling drivers and revenue raising, and that the number of speed cameras around is excessive – especially when you might go through 3 or 4 in a single trip home. But did you know that, while there are about 300 murders each year Australia-wide, there are over 1000 fatalities from driving? In 2013, 170 of these people came from NSW – and this was a record low. And these figures do not take into account the thousands of people who are injured. Speeding is the single biggest factor in fatal crashes, contributing to over 40% of deaths on the road. While speeding can be dangerous, or even fatal, this is not to say that governments haven’t been benefitting from revenue-raising through the use of speed camera. 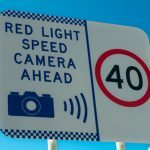 Government policy in NSW says that speed cameras should be removed if they are not contributing to road safety – and this is good news for motorists. 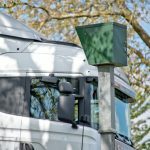 The Annual Speed Performance Review has recommended that a further ten speed cameras are uprooted, on top of the 34 which have already been turned off. But does this mean there will be a decrease in speeding fines across NSW? 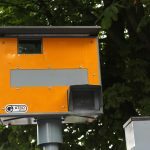 Some remain reluctant to praise the government, believing that although some speed cameras are being removed, new ones will probably be substituted elsewhere. 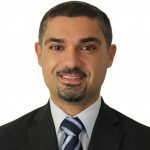 However, the president of the NRMA, Kyle Loades, told the Sydney Morning Herald that the removal of cameras without replacement elsewhere may help convince sceptics that the speed cameras are primarily for road safety, not revenue raising. Roads Minister Duncan Gay also wants the public to believe that speed cameras are not just a way of raising money, stating that speed cameras do save lives. According to the annual review, speed cameras have saved an estimated 53 lives and prevented 919 injuries. The review also claims that 100% of fines go to the NSW Community Road Safety Fund to pay for road safety initiatives. Mr Gay said he is very excited to help dismantle the signs, even going so far as to personally dismantle the first of the ten that are next to go. Donning on a fluro vest and hard hat, he helped remove the camera on Delhi Road, Macquarie Park in the north of Sydney. The removal of ineffective speed cameras was an election promise of the NSW government, who won the vote in 2011. Some have questioned why the government has taken so long to remove them. But before any cameras are removed, they must be assessed for effectiveness and for those deemed ineffective, additional signage and markings must be put into place and safety works must be carried out before the cameras are actually removed. The first three were taken out back in 2011, and another audit recommends the removal of a further two speed cameras. Many of those removed or switched off are located around greater Sydney. If you disagree with a speeding fine, it is possible to take it to court. But before you contest a fine, it’s a good idea to speak with an experienced traffic lawyer who will be able to advise you about whether you are likely to get a positive result. If you believe you were unfairly issued a speeding ticket, you can alternatively request a review from the State Debt Recovery Office. 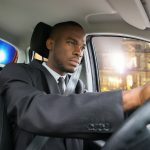 If you are charged with a serious traffic offence such as speeding by more than 45km/h, drink driving, driving recklessly or dangerously, or if the demerit points from your speeding ticket mean that your licence will put at risk, you may wish to talk to a lawyer about the best way to maximise your chances of keeping your licence. Do Police Have to Pull You Over for Speeding in NSW?